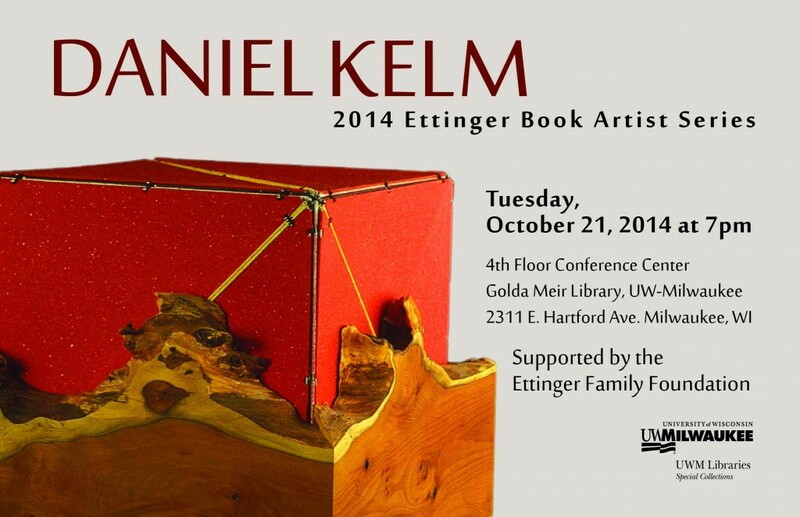 Book artist, sculptor, book binder and teacher Daniel Kelm presents a talk about his work on Tuesday, October 21, 2014 in the Fourth Floor Conference Center of the UWM Golda Meir Library. One of the great masters of inventive artists-book binding in America, Daniel Kelm is the inventor of the widely-used “wire-edge binding” and founder and proprietor of Wide Awake Garage studio in Easthampton, Massachusetts, where he designs and produces artist’s books and interpretive ﬁne bindings that combine traditional and new materials in innovative book and box structures. Kelm established Wide Awake Garage in 1983, and in 1990 he founded the Garage Annex School that offers workshops of all levels in bookbinding. He has exhibited nationally for over thirty years, and taught and lectured at dozens of universities and libraries in North America and Europe. Kelm’s presentation is free and open to the public. 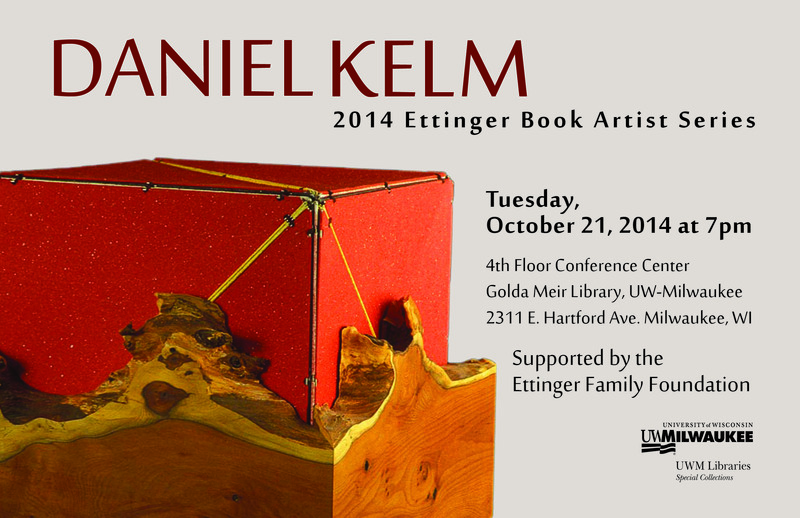 This is the tenth year the Ettinger Family Foundation has supported the Book Arts Series.